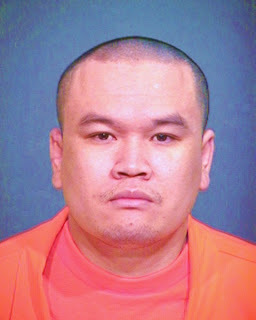 Arizona Prison Watch: ASPC-Florence Death in Custody: Karot Phothong, 37. ASPC-Florence Death in Custody: Karot Phothong, 37. Condolences to this man's family. Please contact the ACLU of Arizona about your loved one's death; they are filing a class action suit against the state for medical and psychiatric neglect of prisoners. One big concern has been the doubling of the suicide rate under the current administration. Violence has skyrocketed as well. Feel free to contact me anytime if you wish to organize with other families who have had similar experiences with the Arizona Department of Corrections, or if you wish to share more of Karot's story. Finally, suicide can be a devastating thing to survive, whatever the circumstances surrounding it. You might want to check out Survivors of Suicide, Tucson for support coping with your loss. For more information about them, contact the executive director, Tyler Woods at 520-861-663. Florence, Az. – Inmate Karot Phothong, 37, ADC #98842, was found unresponsive in his housing unit Saturday. He was pronounced dead from a possible suicide after medical responders attempted life saving measures. Phothong, sentenced out of Pima County, was serving 12 years for aggravated assault. He came to ADC Sept. 9, 2005 and was held at the Central Unit, ASPC-Florence.